Sharon Tucker is a Licensed Professional Clinical Counselor (LPCC938) who cares about hurting hearts and specializes in helping children and adolescents on the Autism Spectrum. Are you in emotional pain or hurting for your child who is feeling frustrated, isolated, or judged? Do you desire more for your child who may be struggling to fit in, to handle the stress of school and learning, cope with the emotional ups and downs of life? Sharon helps each child to develop the skills to achieve a more fulfilling experience socially, academically, and personally. She believes in developing an approach for each client that is a custom and unique fit for that individual and his/her parents. Sharon began her journey in 1990 when she received her Master’s in Educational Counseling. She has over 15 years of experience in the field of education and school counseling. 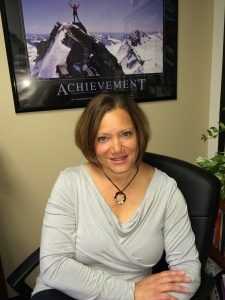 As a result, she has developed a passion and expertise in working with children and adolescents with a myriad of challenges including but not limited to: High functioning Autism, ADHD, Anxiety, behavior issues, peer relations and self-esteem. Sharon has facilitated support groups for children and adolescents with an emphasis on: Social skills, anger management, long term illness, grief and loss, changing families, building self-esteem, and behavioral wellness. Sharon has developed effective program and techniques for addressing the issues that are faced by children and adolescents who are on the Autism Spectrum. Her interventions include meeting with each child individually, then in a group setting to dynamically guide her young clients to further develop and solidify their skills in a safe and nurturing social environment. She is highly knowledgable regarding the school environment and offers her expertise to help parents and their child navigate this system successfully. Sharon has a calming, humorous, and direct counseling style that children and teens find safe, yet inspiring and motivating. As a Christian clinician, she utilizes her education, experience, and giftings to provide treatment that works while adding a spiritual perspective. She would love to meet you and your child to begin this healing journey today.